They were paid $456 per month on average last year, 38 percent higher than the national average. Ho Chi Minh City topped the average wage paid to employees last year, new data shows. 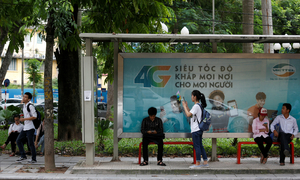 Workers in the southern metropolis cashed in on average $456 per month, professional recruitment firm VietnamWorks said in a report released on Monday based on data collected from companies across the country in 2017. 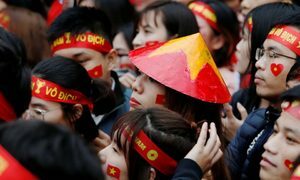 The figure was 38 percent higher than the average monthly salary in Vietnam last year, which stayed at $285, according to official government data. 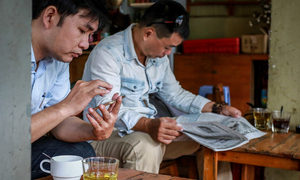 Each year, VietnamWorks receives 4.7 million applications for 95,000 jobs, and employers are required to provide information on the minimum and maximum salaries. The company found that Da Nang came second with a pay check of $452 per month, followed by Binh Duong and Bac Ninh. The capital Hanoi ranked in fifth position with $407 per month. Last year, a survey by employment website Jobstreet.com found that salaries in Vietnam were rising faster than in any other Southeast Asian country. 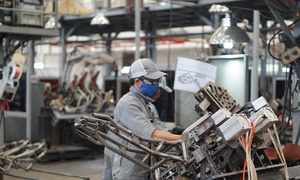 The average annual growth rate of Vietnam's payroll stood at 20-24 percent, compared to 14-20 percent in Thailand, the Philippines, Indonesia, Myanmar and Singapore. 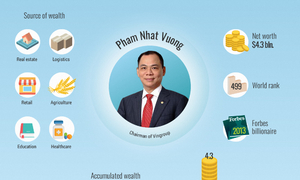 In Vietnam, management and executive salaries grew fastest, at 26 and 35 percent respectively. 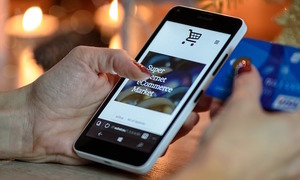 The survey found that 68 percent of companies operating in Vietnam want to expand their businesses in the future, so they have high recruitment demands. Jobstreet forecast that salary growth will continue due to this demand.